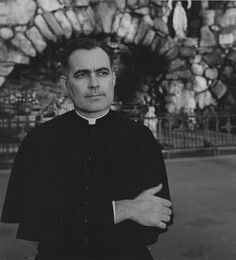 It was announced that the famed Father Theodore M. Hesburgh, C.S.C., died at 11:30 p.m. Thursday (February 26, 2015) at Holy Cross House adjacent to the University of Notre Dame. Father Ted was 97. We all know Father Ted as the president of the University of Notre Dame from 1952 to 1987. 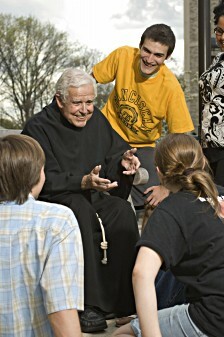 He was a priest of the Congregation of Holy Cross, and known as a leader in Catholic higher education. Father has been awarded the most honorary doctorates in US history. “We mourn today a great man and faithful priest who transformed the University of Notre Dame and touched the lives of many,” said Rev. John I. Jenkins, C.S.C., Notre Dame’s current president. “With his leadership, charisma and vision, he turned a relatively small Catholic college known for football into one of the nation’s great institutions for higher learning. Several years ago I had the privilege to meet Father for a good hour of conversation. His eyesight was very poor but he was a great conversationalist. I am grateful for the time we spent talking to in the library named in his honor. May God be merciful to Father Ted and may he rest in rest from his labors. Our Lady of Sorrows, pray for your son. 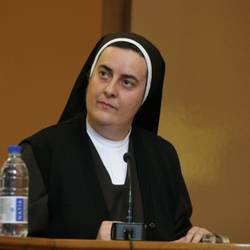 Sister Mary Melone, a Franciscan Sisters of Blessed Angelina, born in 1964, is the next Rector of the Faculty of Theology of the Pontifical University Antonianum. The venerable Antonianum is run by the Order of Friars Minor. In recent history of this Roman pontifical university, Sister Melone is the first woman to be appointed a dean, and now the first woman to become a rector of a pontifical university in Rome. Cardinal Zenon Grocholewski, prefect of the Congregation for Catholic Education appointed Melone to a term lasting from 2014-2017. She is an expert on St. Anthony of Padua, and other points in Franciscan theology. May Saint Anthony of Padua intercede for Sister Mary Melone’s intentions. Earlier today Pope Francis spoke to a large delegation from the University of Notre Dame. I think my alma mater can follow what the Pope is aiming at… don’t you think? In reading this address I am thinking and hoping that the UND does not explain away what the Pope really means. I am pleased to greet the Trustees of Notre Dame University on the occasion of your meeting in Rome, which coincides with the inauguration of the University’s Rome Center. I am confident that the new Center will contribute to the University’s mission by exposing students to the unique historical, cultural and spiritual riches of the Eternal City, and by opening their minds and hearts to the impressive continuity between the faith of Saints Peter and Paul, and the confessors and martyrs of every age, and the Catholic faith passed down to them in their families, schools and parishes. 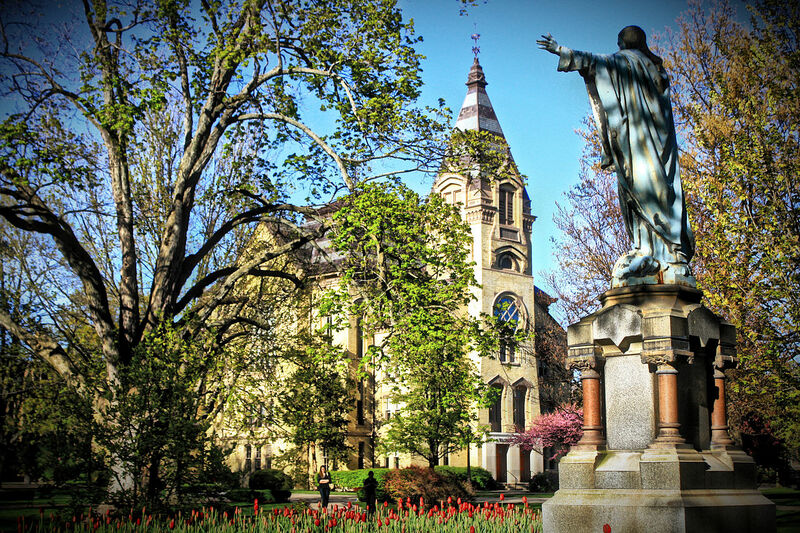 From its founding, Notre Dame University has made an outstanding contribution to the Church in your country through its commitment to the religious education of the young and to serious scholarship inspired by confidence in the harmony of faith and reason in the pursuit of truth and virtue. Conscious of the critical importance of this apostolate for the new evangelization, I express my gratitude for the commitment which Notre Dame University has shown over the years to supporting and strengthening Catholic elementary and secondary school education throughout the United States. After 11 years as chancellor and 26 years as president, Father Michael Scanlan, TOR, announced today that he’ll be retiring from Franciscan University. 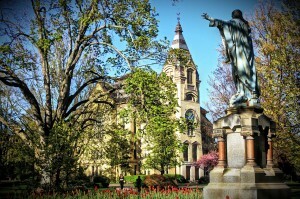 Scanlan is to move to the TOR motherhouse in Loretto, PA. The retirement is effective June 30, 2011. More can be read here, included is a brief biography. May Saint Francis of Assisi reward Father Michael abundantly for helping to rebuild the Church. The Archdiocese of Boston, under the direction of His Eminence, Seán Cardinal O’Malley, OFM Cap., issued a new educational policy for its schools which includes a non-discrimination policy and reiterates that Catholic teaching will be taught in the curricula. There’s an openness to the real life situations people face and live each day but there is no compromise in the passing on the Truth to others: care for the whole person and concern for the eternal destiny of souls.